Tanga is one of my new favorite sites for deals. Each day, they share several great deals on things like household goods, jewelry, magazines, and attention-getting t-shirts. 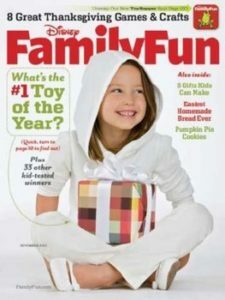 Disney Family Fun Magazine Subscription – Just $3.99 with coupon code CHEAPSKATE. (Reg price: $9.99 per year.) With three kids under the age of 6 in this house, this magazine has been a lifesaver for me in terms of coming up with projects to create. ReadyMade Magazine Subscription – Just $3.99 with coupon code CHEAPSKATE. (Reg price: $11.99 per year.) This is a great magazine for the Do-It-Yourself person. I love all the ideas they share for upcycling and recycling. 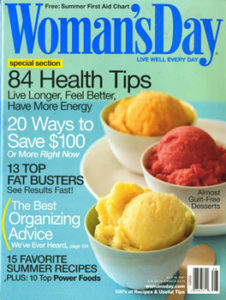 Woman’s Day Magazine Subscription – Just $3.99 with coupon code CHEAPSKATE. (Reg price: $18.00 per year.) A long-time classic read, this magazine is loaded with lots of tips to make life easier. Unlike other Tanga.com deals which usually only last 24 hours, these discount codes are good through 4/17. Like these deals? You can keep up with all of the hot bargains at Tanga when you “like” Tanga on Facebook or sign-up for regular updates via e-mail or RSS. And you know what’s better than getting a great deal? Getting a great deal for FREE! Tanga has generously agreed to give two (2) lucky Northern Cheapskate readers a $25 Tanga Gift Card to spend! This giveaway is open to all US residents ages 18 and older and will end at 9 p.m. CST on Sunday, April 17, 2011. Only one entry per person allowed. The information I collect in this giveaway will only be used to contact you if you are a winner and will never be shared or sold. Disclosure: I am an affiliate for Tanga, which means if you shop through the links in this post, you’ll help support this site. Tanga has not compensated me in any other way for my participation in this promotion. Please read my full disclosure policy for more information.